• "Cecil was first exposed to road building at an early age as his grandfather served as county Road Commissioner. In October 1940 Cecil enlisted in the U.S. Army prior to the United States entering the Second World War. After brief stints at Camp Shelby, Mississippi and Camp Claiborne, Louisiana he was sent to Engineer's School at Fort Belvoir, Virginia. While there, as part of his training, he visited the construction of the Pennsylvania and New Jersey Turnpikes. It was here that the seed was planted in his mind about forming a road building company after his military service was over. In January 1942 Cecil was sent to the aptly named Cold Bay, Alaska in the Aleutian Islands to build a runway and supporting infrastructure for an air base. It was here he had his first hands-on experience and honed skills that he would put to use later in his business career. In 1943 Cecil returned to Fort Belvoir, Virginia for school where, upon graduation, he received a commission. He was thereafter assigned to the European Theater of Operations until his service ended in December or 1945. In early 1946 Cecil, along with Emmet G. ("Pat") Gray, formed the partnership of Ashburn and Gray in Huntsville, a city of one square mile. They started out with an Army surplus drag line and bulldozer. By the late 1950's, Ashburn and Gray had become one of the largest road building contractors in the state with branch offices in Decatur and Guntersville and with jobs spanning all of North America. Ashburn and Gray played an important role in the expansion of Redstone Arsenal as Redstone was in the forefront of our country's missile and space programs. Ashburn and Gray also played a primary role in the construction of the runways and roads serving the Huntsville Airport. During his career Cecil witnessed Huntsville grow from its one square mile to a city of over 170 square miles. Cecil played an active role in promoting safe highways. Together with his lifelong friend, Congressman Bob Jones, he worked hard to develop the authorizing legislation for the Interstate Highway System and Appalachian Road Commission. 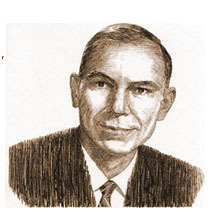 In the early 1950's Cecil joined the Alabama Road Builders Association where he served on the board for many years. In 1962 he served as the President of the Association. He also served as a Director of the American Road Builders Association. 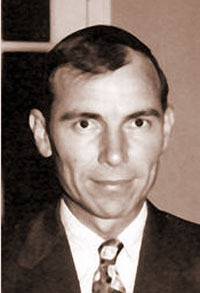 Cecil was a co-founder of the Alabama Asphalt Plant Mix Association and served as its President. He also served as a member and Chairman of the State Licensing Board for General Contractors. Cecil was appointed to the Huntsville City School Board in 1958 and served as Chairman in 1962. He also served on the City of Huntsville Electric System Board for nine years, three as chairman. In 1993 Cecil donated 100 acres to Madison Academy for construction of their new campus. They named their new facilities, The Ashburn Campus, in recognition of his contributions. On January 22, 2002 Cecil had the distinct honor of having a road named after him by the Huntsville City Council. Cecil Ashburn Drive crosses Huntsville Mountain then on to Big Cove near Cecil's old family homestead. • Find A Grave - Page created by Sidney Allen. • Obituary - As viewed through an Ancestry.com paid subscription. • Obituary - Huntsville Times - Article by Steve Doyle, July 22, 2012. This page was last modified on 8 September 2013, at 20:22.